During the past decade, the cancer stem cell hypothesis has been the subject of considerable debate. The cancer stem cell hypothesis posits that many tumors possess only a small fraction of “stem” cells endowed with an unlimited capacity to proliferate. According to the hypothesis, it is these cells, and not the remaining cells in the tumor, that are responsible for continued growth of the tumor and, ultimately, the death of the patient. The seminal studies of Kleinsmith and Pierce nearly 50 years ago, together with more the recent studies of leukemia and solid tumors, have provided compelling evidence that many tumors possess only a minor population of tumor-initiating cells. However, concerns have been raised about the methods used to estimate the number of tumor-initiating cells present in a tumor. These, and other concerns, have led many to question whether tumors actually contain only a minor fraction of tumor-initiating cells. This chapter reviews some of the evidence for, and the challenges to, the cancer stem cell hypothesis. 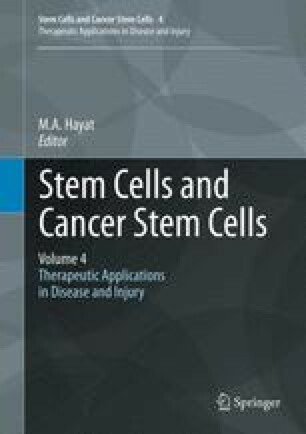 It also discusses three questions related to the biology of cancer stem cells that should be considered when designing new cancer therapies. Like others who are attempting to move cancer biology forward step by step, the author of this chapter is strongly aware of being perched on the shoulder of giants who laid the foundation for our current understanding of cancer. In this regard, many of the basic concepts put forward in this chapter have been heavily influenced by the work of Barry Pierce, and our conversations over the years. Similarly, Tim McKeithan is thanked for his comments on this chapter and for our frequent conversations over the past 5 years, which helped focus and challenge my views of cancer biology. Jesse Cox is thanked for the design and drawing of the figures and reading this chapter. Heather Rizzino is thanked for editorial comments. Finally, work in the author’s laboratory is funded by grants from NIH (GM 080751) and the Nebraska Department of Health (2011-29; Stem Cell 2009-01).